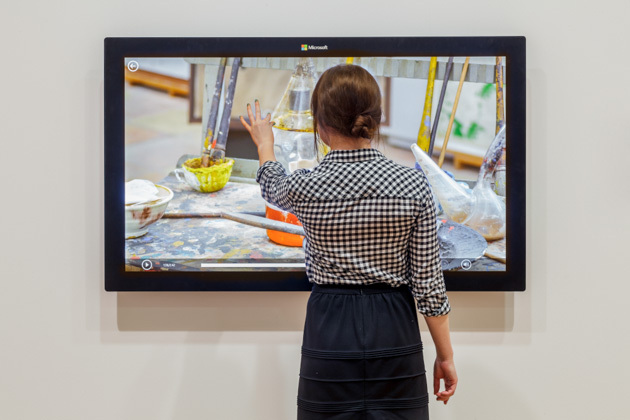 SAM offers a number of ways to learn more about art and our collection, both online and in person—take advantage of the best visual arts resource in Seattle. Discover, create, and read, in one of our learning spaces, or get answers to your art-related questions in one of our libraries. Our librarians are happy to help you find the books, media, and other sources that will advance your research and thinking. Our libraries are open by appointment only. Researchers wishing to set up appointments should contact the Bullitt Library via email or 206.654.3220. Get the latest library news on the SAM Blog. The Bullitt Library has thousands of books, exhibition catalogues, journals, videos, and ephemera on general art history, African art, American art, Australian Aboriginal and Oceanic art, classical, ancient Mediterranean and Islamic art, decorative arts, European art, modern and contemporary art, Native American art, Northwest art, photography, and the history of the museum. Wednesday–Friday, 10 am–4 pm, by appointment only. Please email or call 206.654.3220 to arrange a time. Please note: The Bullitt Library will be closed December 21-26, 2018. Librarian: Traci Timmons, M.A., M.L.I.S. 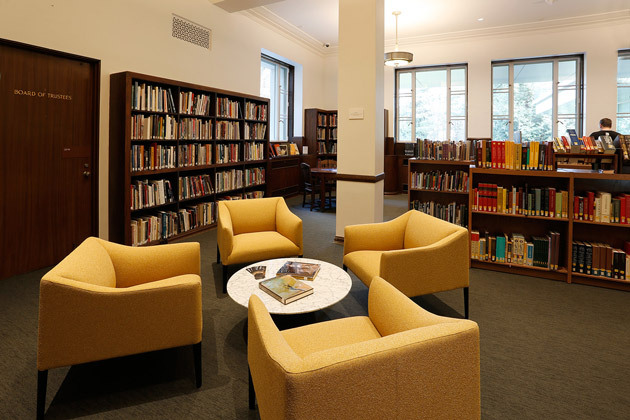 Use the SAM Research Libraries Catalogue (OPAC) to access books, exhibition catalogues, videos, and selected historical materials in the Dorothy Stimson Bullitt Library and the SAM Conservation Library. Materials in the Conservation Library are available for use on a case-by-case basis. All materials must be used in the library reading rooms. The McCaw Foundation Library is closed during the Asian Art Museum renovation. Librarian: Yueh-Lin Chen, 陳悦琳, M.L.S., M.S.I.M. 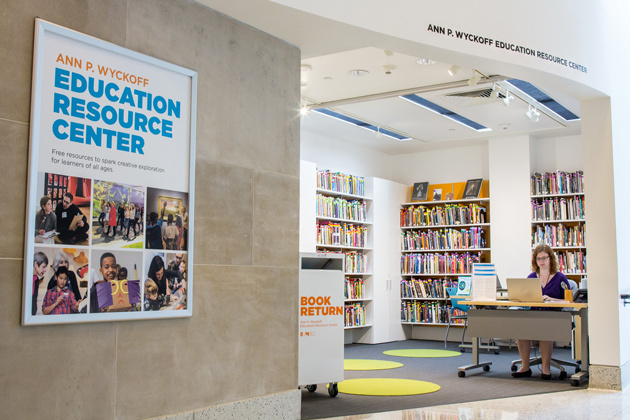 The Ann P. Wyckoff Education Resource Center (ERC) is a launchpad to explore works of art and spark creative learning. The ERC supports inclusive and engaging art experiences through free resources–including a lending library–for families, educators, and youth at the museum, in the classroom, and at home. Use the ERC Catalogue to access materials for loan and online resources on a variety of topics in art education and world cultures, including our children’s book collection. Stories behind the artworks come alive with a touch of a button. Learn more about objects in SAM's collection and ​select special exhibitions through SAM-created audio tours and touchscreen interactives. 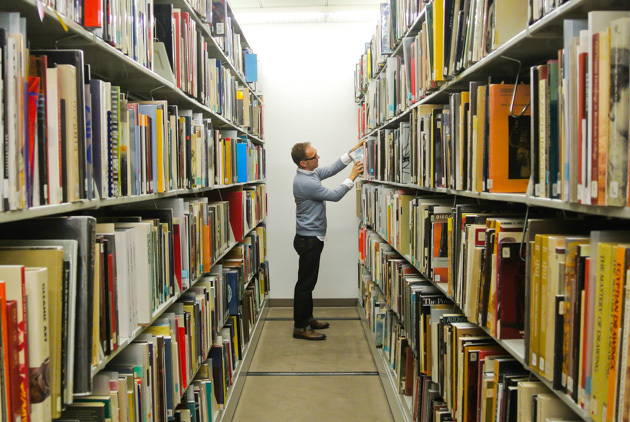 The digital collections of the Seattle Art Museum Research Libraries reflect unique and historical resources within our library holdings that offer insights into institutional history, SAM's role in the local community, book ownership, and more. Find answers and learn more about many areas of art through the libraries’ thousands of research resources. The libraries offer researchers access to databases which provide unparalleled access to important research material. These databases must be used on-site in one of the library reading rooms. Search thousands of full-text articles from hundreds of scholarly journals. Articles include images and date back to the 19th century. Funding for this resource is provided by the Amanda Snyder endowment. Access biographical, bibliographical, and sales information on more than 100,000 American artists. Funding for this resource, part of the American Art Library, is provided by Susan Winokur and Paul Leach with additional funding provided by members of the Council of American Art and the Marie Lamfrom Charitable Foundation. Look up auction records from more than 500 of the leading international auction houses. Library staff have prepared these online guides especially for our patrons. These resources, provided by authoritative institutions and organizations, offer valuable information on the artists, periods, styles, and cultures represented in the Seattle Art Museum's art collection. The Seattle Art Museum has a long tradition supporting and showcasing artists of our region. Learn more about our local artists and important people in the arts through these exceptional resources. Materials must be consulted in the Bullitt Library reading room. Northwest artists' files: Clipping files on over 7,000 artists from Washington, Oregon, Alask​a, Idaho, Montana, and the Province of British Columbia. Files must be consulted in the Bullitt Library reading room. Archival and historical materials related to the Seattle Art Museum reside in two places: the Special Collections Division at the University of Washington Libraries and the Dorothy Stimson Bullitt Library at the Seattle Art Museum. The Seattle Art Museum's institutional records are held in the Special Collections Division of the University of Washington Libraries. The Special Collections Division is located on the bottom floor of the Allen Library South on the University of Washington campus. Currently, the records cover 1908 to 2004 and measure over 423 cubic feet. The materials include correspondence, writings, minutes, reports, exhibition files, conferences and conventions, project and planning files, committee files, lists, indexes, policy manuals, newsletters, publications, publicity, clippings, scrapbooks, engagement books, catalogues, photographs, slides, ephemera, and subject files. A preliminary finding aid to the records is available online. To further identify materials applicable to your research, it may be necessary to visit the Special Collections. Please note that a portion of SAM records are stored off-site from UW Libraries. When you have identified boxes that you would like to view, the materials will be delivered to Special Collections within 24 hours of your request. Researchers are welcome to contact Special Collections with questions by telephone at 206.543.1929 or through this form. 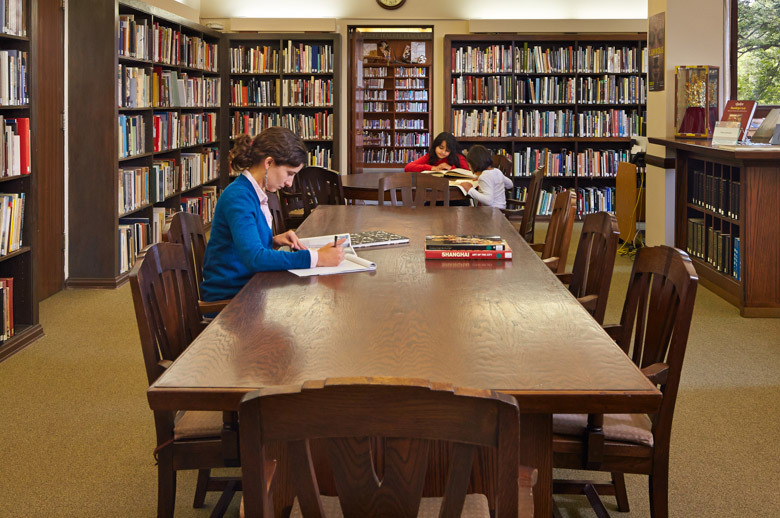 Frequently requested historical material about the museum is kept in the Dorothy Stimson Bullitt Library and is available to researchers. Materials in this collection consist of annual reports, program guides, bulletins and newsletters, clippings, and exhibition catalogues. Materials must be consulted in the Bullitt Library reading room. Email us for information and access. The museum also maintains an internal archive of documents concerning past exhibitions, events, and installations. These are available to researchers on a case-by-case basis. Email us to request information or images from this archive. The library is open by appointment only. Researchers wishing to set up appointments should contact the library they wish to visit. Resou​rces must be used in the libraries and cannot be checked out. We are happy to hold materials if your visit extends to multiple​ days. If you are unable to visit in person​, the best way to receive assistance is to email. If you do not use email and are unable to visit, please contact either the Bullitt Library or McCaw Foundation Library via phone. Please understand that we limit phone reference services to 10 minutes as we are simultaneously assisting on-site patrons. If you have a very detailed request that requires more than 10 minutes of phone time and you are not able to come in, please mail your request—with images, when applicable—to either the Bullitt Library or McCaw Foundation Library. Locate books or other materials you need to do your research. Find information on objects in SAM’s collection. Track down biographical and other information on artists. Pinpoint galleries or museums that may hold an artist’s work. Locate auction houses that have sold work by a particular artist (if available). Find an appraiser or gallery. Find all kinds of information about art and artists. Provide potential selling prices for any work of art. Appraise or give value estimates on any work of art. Authenticate any work of art. We accession hundreds of donated titles into our library collections each year. They are an important part of our collection development, and we appreciate people thinking of us when the time comes to downsize your own—or a loved one’s—library. Upon receipt, all donations become the property of the Seattle Art Museum Libraries. We reserve the right to determine retention, location, cataloging treatment, and other considerations relating to the use of donated materials. We are not able to accept donations with restrictions such as: limited to serious researchers, must always remain in the collection (can never be sold), limited to only staff, etc. Materials not selected for inclusion in our collection may be sold, donated to another library, recycled or disposed. When items are sold, proceeds are used to support the libraries. If we are unable to accept your gift, we are happy to recommend other libraries and organizations that might benefit from your donation.